WHY did I not do this earlier! Wauw I love my foamroller, it is my best friend nowadays. 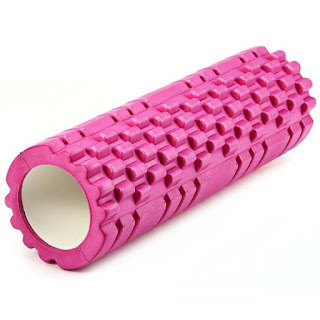 It helps me so much to relax my muscles, especially my calves, and get rid of muscle pain faster. You think I'm exaggerating right? But believe me, start to use a foamrol today! I found this YouTube clip for a full body formal ' workout' and it is one of my favorites, especially the glutes and back part. Personally I advice to go straight for the roll with trigger points, I know it can be very painful but it is better for you than the ' smooth' ones. If you experience any pain you can reduce the pressure on the foamrol. In time you will get use to the ' pain' and in the end you will love it!